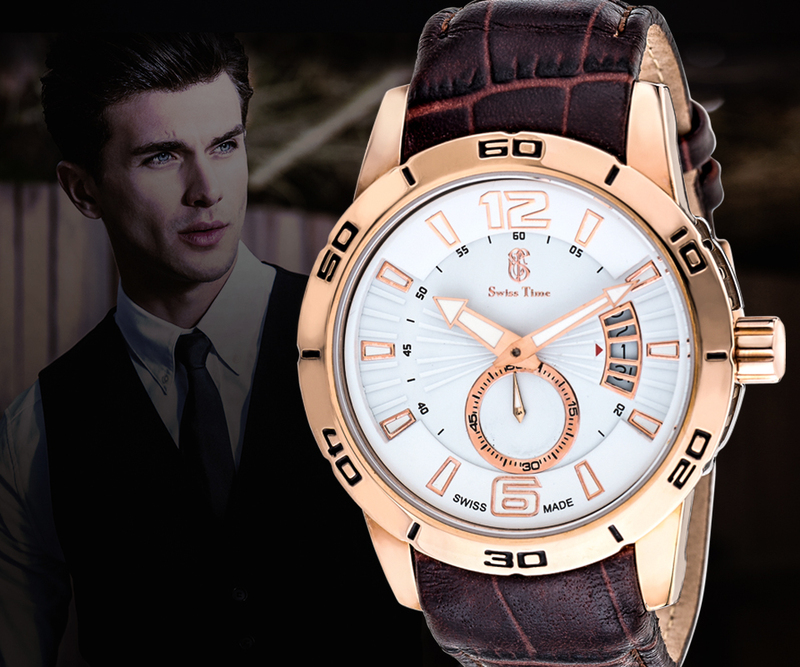 The name suggests that the collection displays charm and ideal male beauty. True strength lies in understatements. And nowhere else is this more apparent than in this watch. It’s simple yet stunning watch face and the dial with minute details etched on metal combine with the elegant band to create a watch the is understated, yet stands a class apart. Opulence has a new form, and it’s that form that will wrap around your wrist and make you feel like the king of the world. 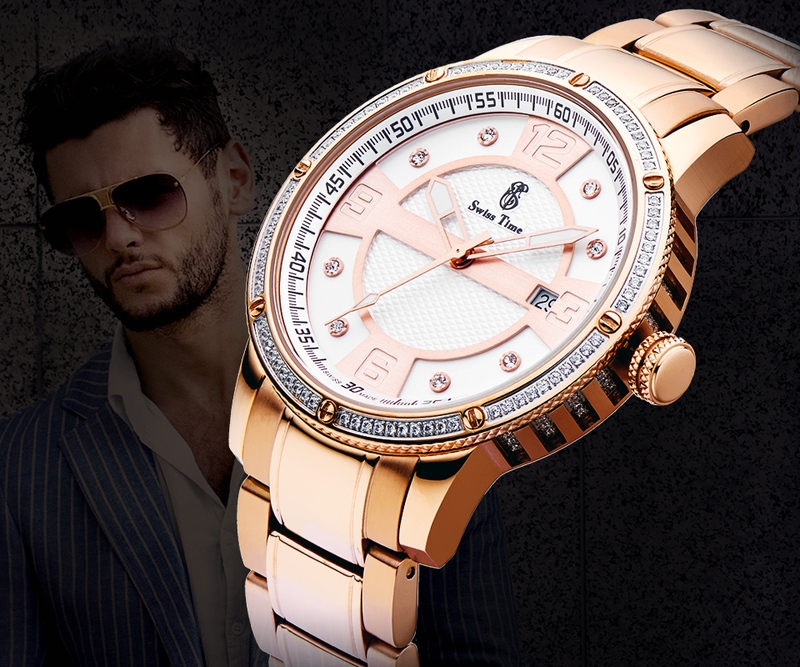 Liberal sprinkling of crystals across the watch face and dial, a tarnished gold finish and golden rivets adorn the watch and give it elegance yet unseen. 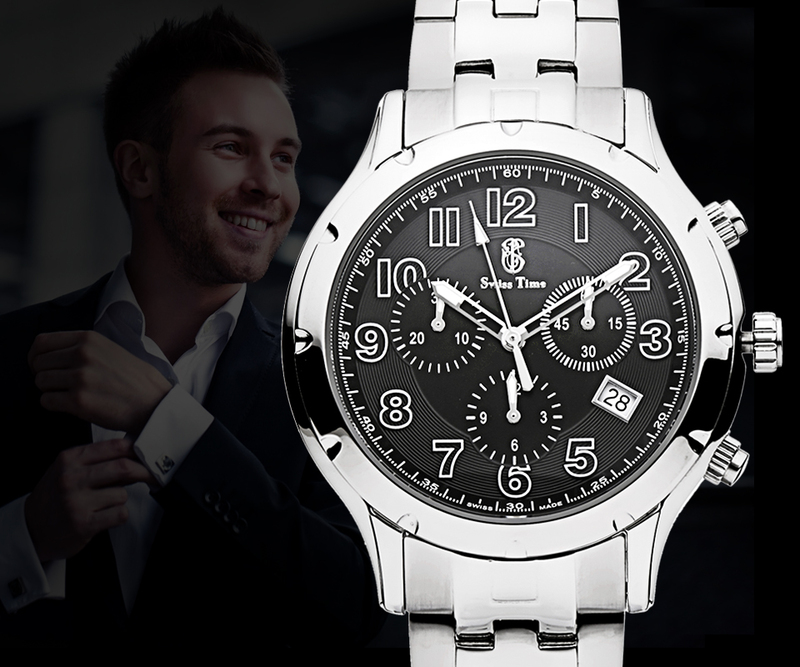 This time piece is for the modern, metrosexual man who loves the quiet elegance of design. The predominately silver metallic watch is interspersed with bursts of colour – pink, gold and black in different styles for each watch. 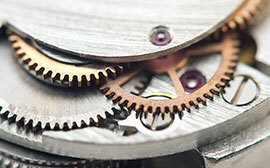 Its dial’s luminescence is highlighted by layers of circles each with a designated function of its own. Perfect for a dressy affair or special occasion. 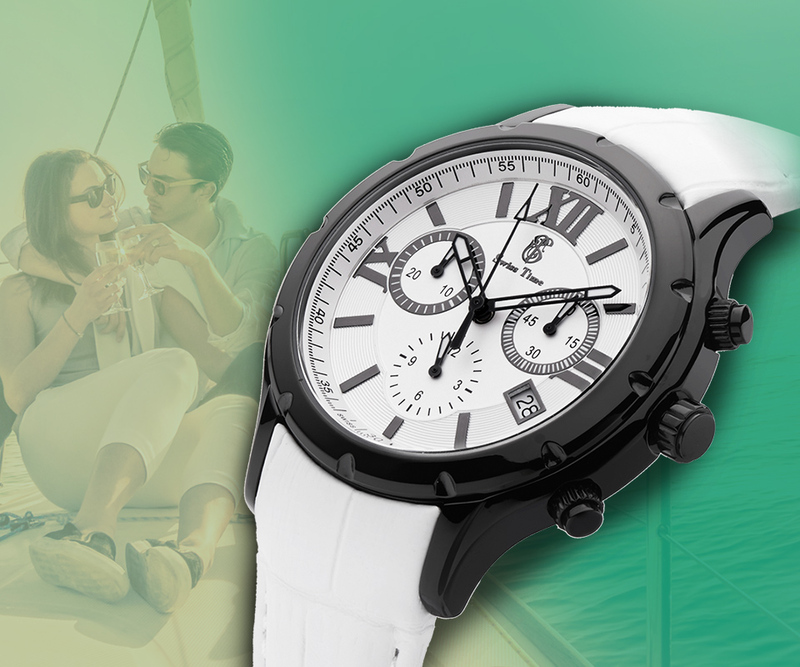 Bold, charismatic and a class apart, this watch is as unique as you are. The watch face design is incomparable to anything you’ve ever seen, with lines reminiscent of rays of the sun radiating outwards from the center, lending the unmatched flare and style. And when you combine that with the elegance of the leather strap, you get a watch unlike any other. The adventurous have a new totem – this watch. The monochrome design lends itself beautifully to a simple yet striking design, with each element existing in perfect harmony. Additionally, its clean lines and gorgeous curves transform this piece from just another watch to something that stand out on its own. Beauty, as they say, is in the eye of the beholder. 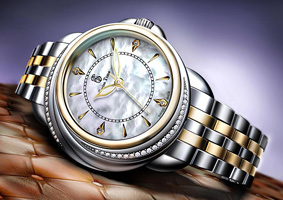 And with the gems shimmering on a luxuriously black watch face, flanked by even more gems, this watch’s beauty will be reflected on each eye that it catches. What’s more, the gold accents all around the watch lend it a quiet strength that further solidifies its beautiful persona. Nothing imbibes the soul of the artist more than this watch. 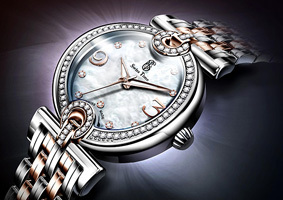 While each element stands out as perfection in itself, it is when viewed together, in its entirety that the true elegance and charm of the watch sings through. 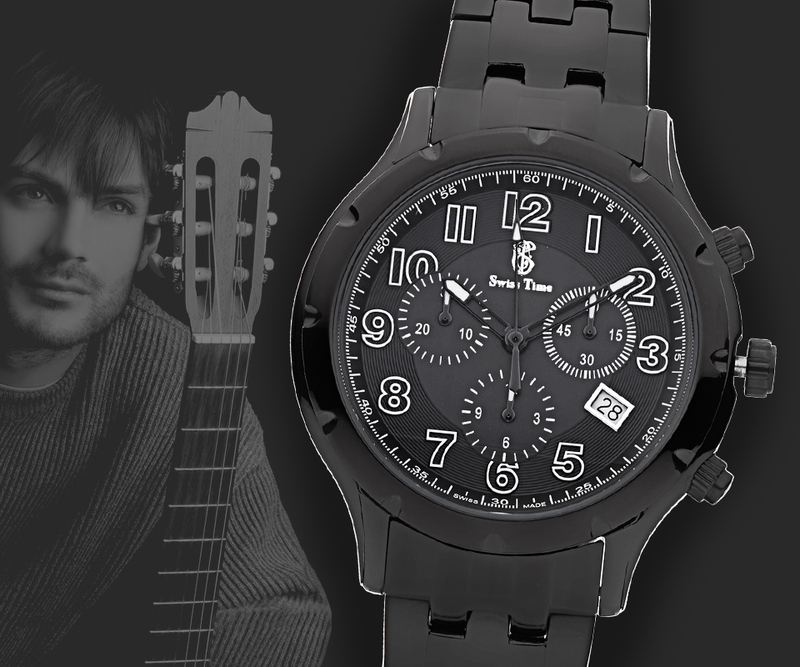 And not to forget, the metallic black band that looks as stylish on your wrist, as it does while lying on a surface. 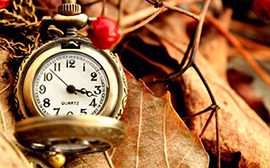 This watch would not look out of place in the treasure chest of kings long gone by. 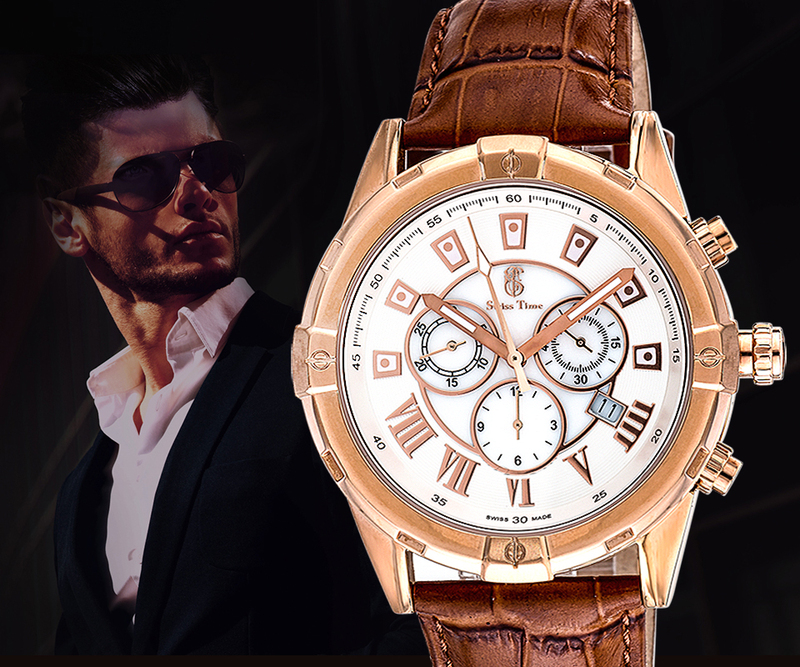 Its use of tarnished gold across the dial and on the numbers, along with the bold hands and use of Roman numerals on the watch face all combine together to create a watch that is more than just an accessory – it is a style statement.